Jacob Leshno is an Assistant Professor of Economics at the University of Chicago Booth School of Business. Professor Leshno uses game theory, applied mathematics and microeconomic theory to study allocation mechanism and the design of marketplaces. His research looks into the design of school choice procedures that guide the allocation of students to schools, the assignment of patients to nursing homes, and the design of decentralized cryptocurrencies. 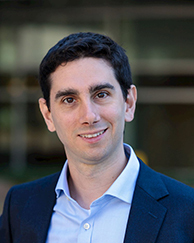 Before joining Chicago Booth, Jacob Leshno was an Assistant Professor in the Decision, Risk & Operations group in the Graduate School of Business, Columbia University. He spent a year as a post-doc researcher in Microsoft Research New England, and previously worked at Yahoo! and IBM. Jacob holds a PhD in economics from Harvard University, completed under the supervision of Prof. Alvin Roth. He holds a M.Sc. and B.Sc. in pure math from Tel Aviv University. We study the dynamics of price discovery in decentralized two-sided markets. There exist memoryless dynamics that converge to the core in which agents' actions depend only on their current payoff. However, we show that for any such dynamic the convergence time can grow exponentially in the population size. We present a natural dynamic in which a player's reservation value provides a summary of her past information and show that this dynamic converges to the core in polynomial time. In addition, the strategies implied by the dynamic are incentive compatible in a broad class of markets. This paper develops a price-theoretic framework for matching markets with heterogeneous preferences. The model departs from the standard Gale and Shapley (1962) model by assuming that a finite number of agents on one side (colleges or firms) are matched to a continuum mass of agents on the other side (students or workers). We show that stable matchings correspond to solutions of supply and demand equations, with the selectivity of each college playing a role similar to prices. We apply the model to an analysis of how competition induced by school choice gives schools incentives to invest in different aspects of quality. As another application, we characterize the asymptotics of school choice mechanisms.